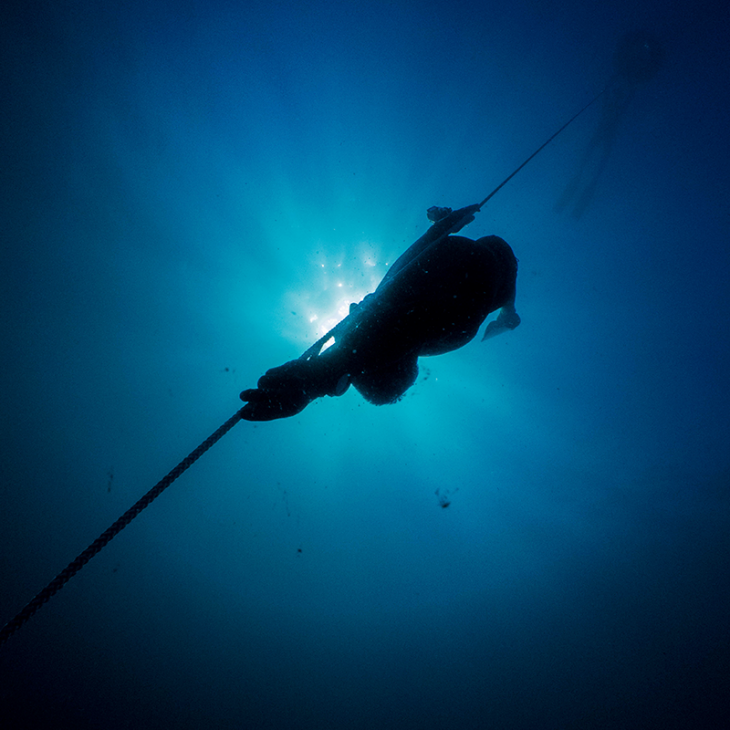 Try Freediving in one day! What's included? The course includes transportation to/from Playa del Carmen or Tulum, equipment, snacks, water, park entrance fees, and a one of the coolest experiences of your life. Are you ready to take your in-water skills to the next level? 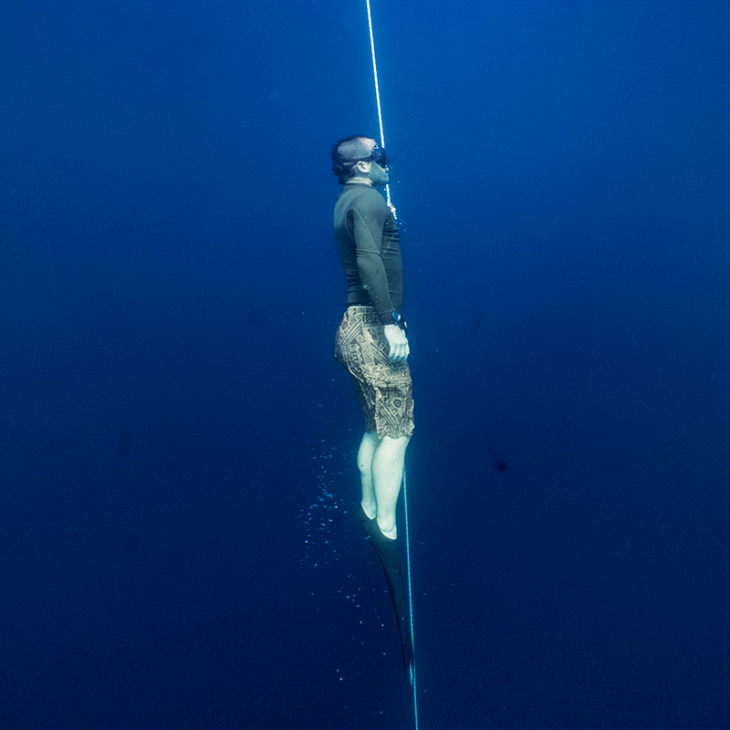 Freediving is an incredible sport, quickly gaining in popularity, which allows you to utilize relaxation and breathing techniques to extend your breathhold times and explore the underwater world unencumbered by heavy equipment. You can try it in just one day! You’ll be diving without the assistance of any tanks or breathing equipment; just you, your lungs, and the serenity of the water around you. 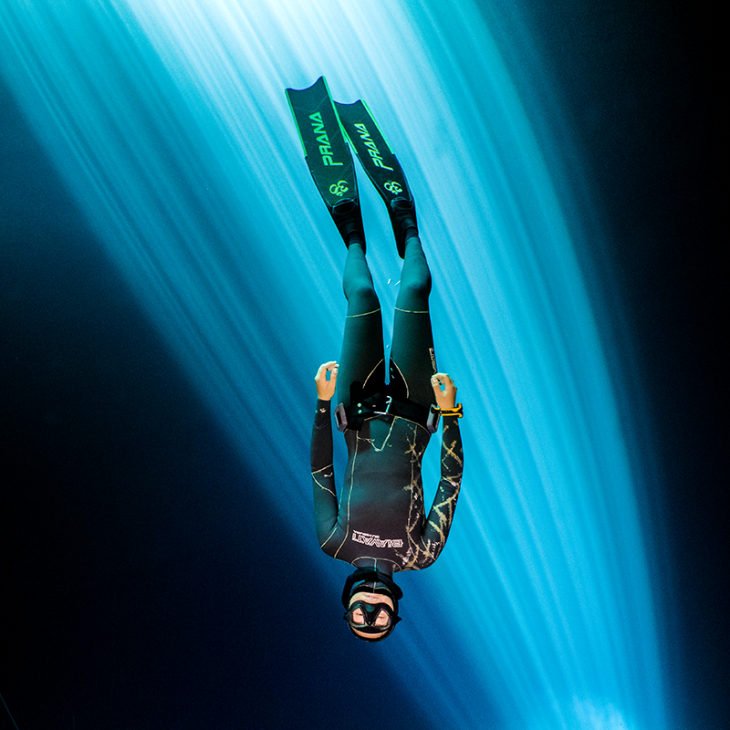 Our professional instructors will guide you through the correct breathing procedures, equalization, and in-water relaxation in order to freedive on one breath deeper and longer than you may have previously thought you were capable of! When you experience our Try Freediving program, you will get a taste of the first day of our Freediving Course. During a short thoery session, your instructor will discuss with you the way our bodies behave underwater and some incredible adaptations that we all possess. 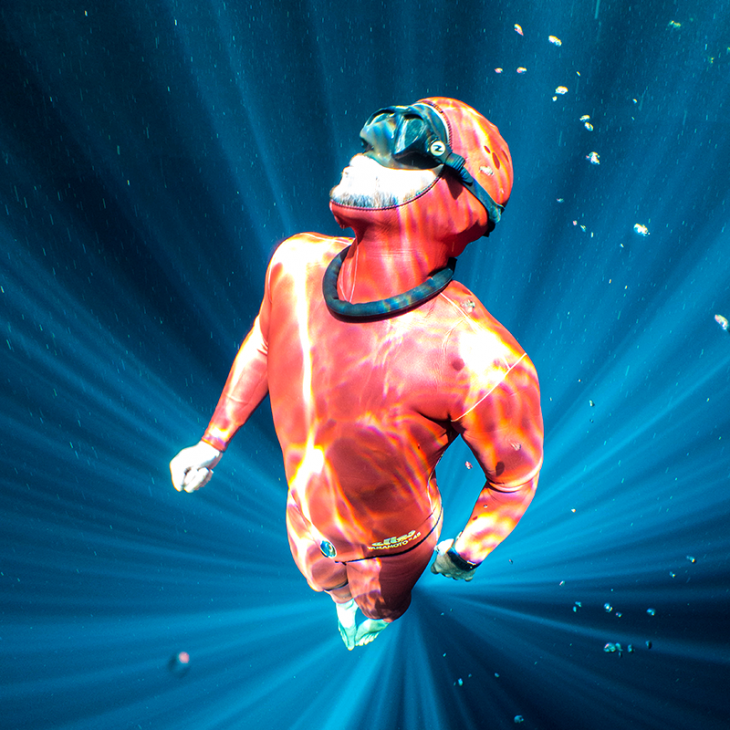 Before heading out to one of the Cenotes suited for freediving near Playa del Carmen or Tulum, you do a dry-run of a proper pre dive breath-up and dry static breathhold. In Freediving, it is important that we find our favorite ways to tap into our tranquility to make our experience as fulfilling as possible. You will be surprised at how relaxed you can get with the right guidance. Most people experience doubling their breath hold time with just a few tips. 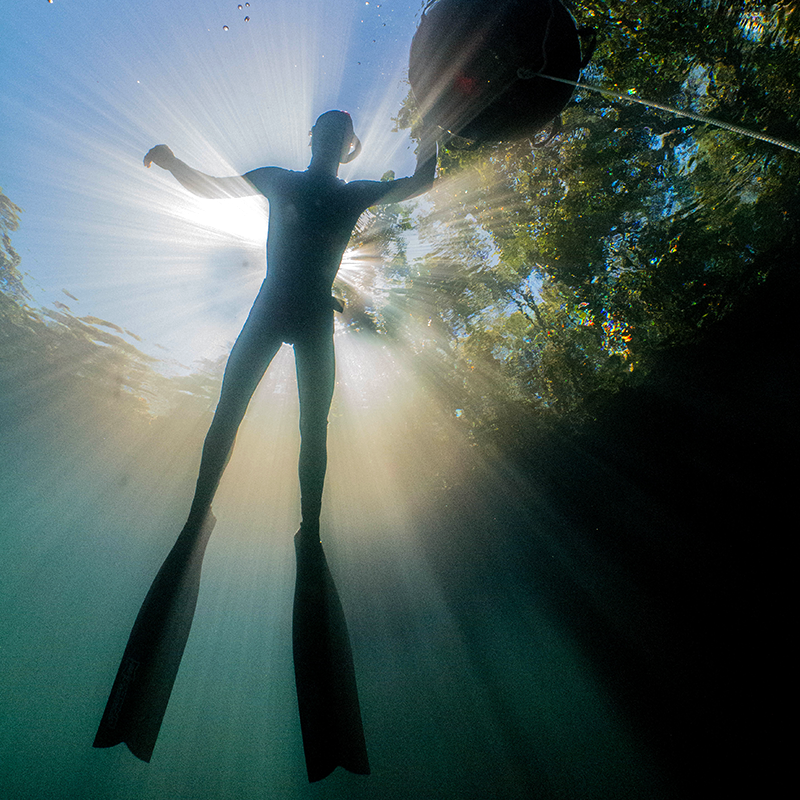 Once on site at the cenote, you will gear up (just a wetsuit, a little bit of weight, and mask, snorkel and fins!) and practice freediving a little deeper, learning the proper way to descend and equalize while maintaining maximum safety. You will have the opportunity to practice two freediving disciplines, free immersion and constant weight, while experiencing the incredible cenote environment in a much different, more peaceful way than SCUBA diving! This will change the way you feel about the water forever!